Registration is Officially Open for 2014 Cleveland Big Wheel Relay! It’s finally time! 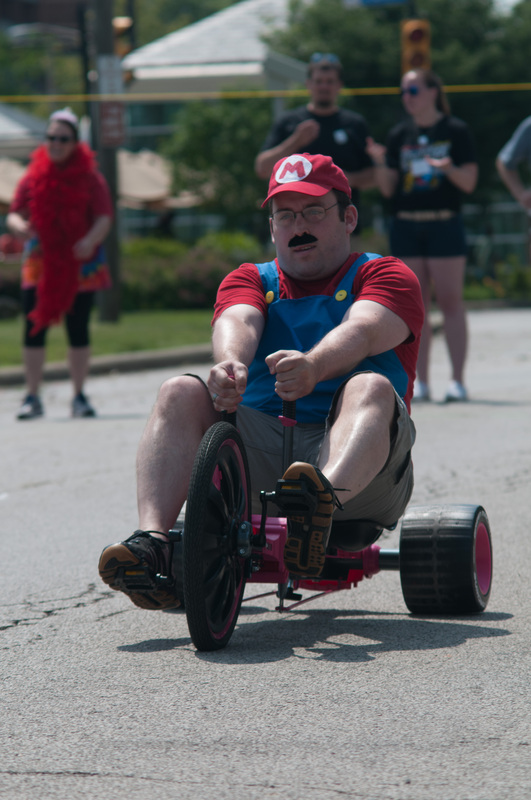 We have opened registration for the 2014 Cleveland Big Wheel Relay! If you haven’t yet heard, our event will be held on Saturday, June 14 from 2-5 p.m. in the heart of Shaker Square. Returning racers have priority registration through the month of February! To reserve your spot, click on the registration page link and fill out the team registration form in its entirety. In early February, we’ll be in touch with instructions on how to set up your team fundraising page through Stay Classy – the same online fundraising platform we used last year. Then, in the month of February, you’ll just need to raise $50 of your overall $300 team fundraising goal to secure your spot. New racers will be able to register beginning March 1, 2014. At that time, you can visit the registration page and fill out the team registration form. We’ll then be back in touch with you shortly after with instructions on how to set up your team fundraising page through our online fundraising platform – Stay Classy. Once you have it set up, you’ll have until the first of June to meet your $300 team fundraising goal. There are limited team spots again this year, so make sure you reserve your spot as early as you can! Tournament Champions – The team that wins the overall relay race tournament. Competition was fierce last year, and we’ve received word that some teams have purchased trikes to practice for 2014! Fundraising Champions – The team that raises the most money for Cleveland Hearing & Speech Center. Last year, we had three teams reach $1,000 with our fundraising champions raising over $1,500! Let’s beat that this year! Costume Heat Champions – Throughout the course of the event, we’ll select the top two teams with the best costumes and then let those two teams duke it out in a best costume heat on the track. Last year we had some great costumes … can’t wait to see what people come up with this year! What else can you expect this year? Our racers last year told us a lot … what you did like and didn’t like. And we heard you! What’s changing? This year, you can expect a few changes. We’ll definitely plan on more water balloons! And, we’ve made a new rule this year that racers must be 16 years old to race with us. What’s staying the same? Just to name a few… the beer tent, a yummy food truck, awesome event t-shirts, music and fun … in other words, all the things you loved last year, and more! As always, if you have any questions at all, please send us a message. Next Next post: Join us in March for a fun kick-off happy hour at Deagan’s in Lakewood!